Feel Real is all about the music, the dj, and you creating a atmosphere of positive energy, dancing, and uniqeness that brings it all together. Our connections tonight allow us to ROCK THE DISCO. So who’s with us? Becky Nunez hosts. Promoters ND House Party and Kayleigh Morin serve up a storm of great hospitality until 2am. 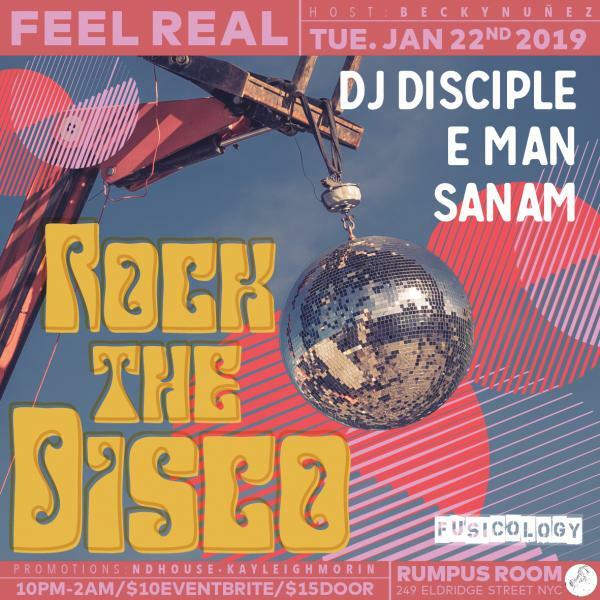 DJ Disciple E Man and Sanam spin.